Texas Housewife: BOO! WAT-AAH! Halloween Giveaway! Of all the products I've reviewed here over the years, WAT-AAH is one of my all time favorites. Getting my kids to drink more water is a big issue for me and WAT-AAH helps make it a little less challenging. The bottles are bright and colorful, great for getting kids' attention. It's been a long time since we first tried WAT-AAH, but I know the taste was a huge hit with my crew. WAT-AAH has rolled out something special just in time for Halloween. Check out WAT-AAH Boo and CEO Rose Cameron’s new blog, www.HealthisCool.org. WAT-AAH!, a brand of functional water for kids and teens, unveils "WAT-AAH! BOO", a limited edition bottle to celebrate Halloween and to promote healthy hydration in support of the Partnership For A Healthier America's (PHA) initiative, whose honorary chair is the First Lady Michelle Obama. On the label, the brand's familiar character, the WAT-AAH! Boy, is portrayed mysteriously in silhouette and screaming, "BOO!" to surprise its audience. He is surrounded by familiar Halloween imagery such as a witch, ghost, haunted house, pumpkin and full moon, each drawn using simple graphic lines. In the spirit of the holiday, a fun and unexpected treatment of PHA's "Drink Up" logo is also featured; it defines the body of a black spider crawling up the web, which serves as a background for the entire scene. 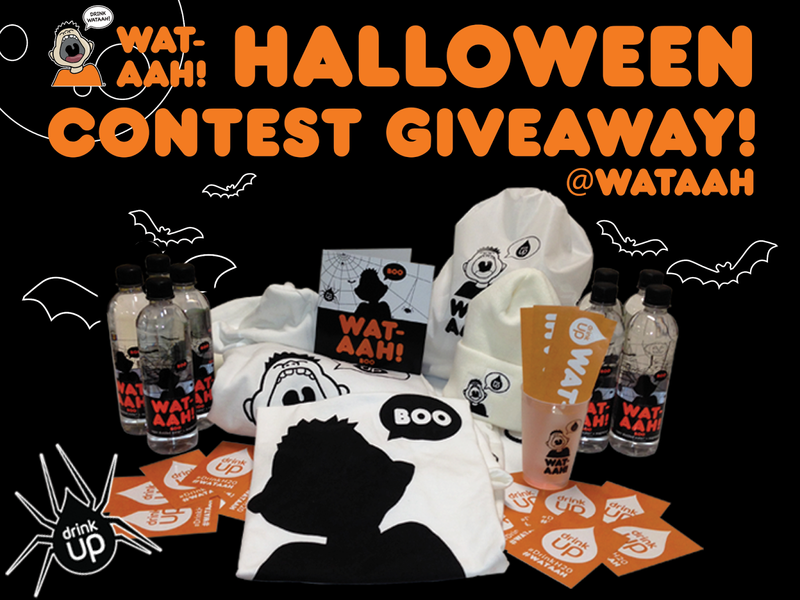 How would you like to win some awesome WAT-AAH for your family! 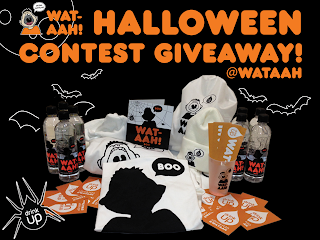 One lucky reader will win a Halloween prize pack fro the great folks at WAT-AAH! The prize packs will include WAT-AAH! bottles, t-shirts, sweatshirts, stickers and more. This is a quick giveaway so your prize will arrive by Halloween! Enter using Rafflecopter below. Winner will be notified by email and will have twelve hours to respond before another winner is selected. Good luck! there is an article about fighting childhood obesity. I learned that a mother started the company who created Wat-ahh to help combat childhood obesity. I liked the information about sodas in kids meals. I learned they are now creating inside workout equipment for kids! What a great idea! Fighting childhood obesity was a theme at the Songs For A Healthier America album release event. There are indoor exercise equipment for children! I learned that many of McDonalds products still have a high sodium count.